Capistrano's is the choice of the discriminating diner, and offers gourmet cuisine at affordable prices. 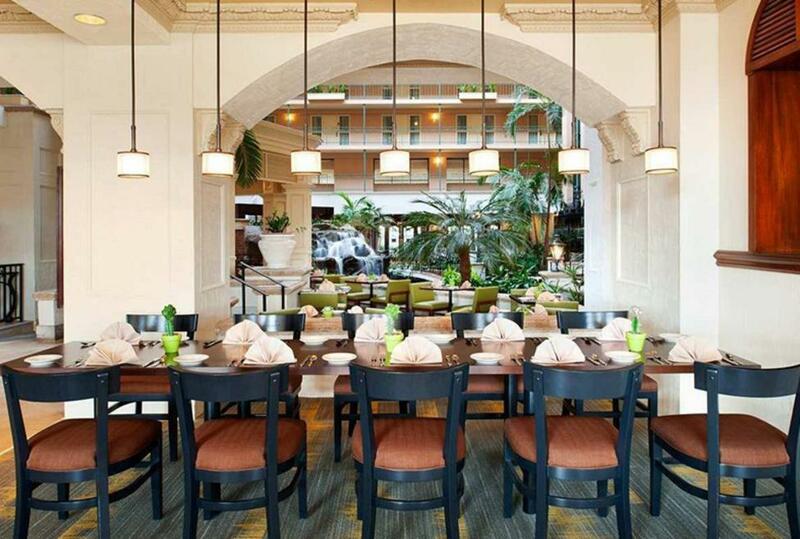 Located inside the Embassy Suites, Capistrano's maintains a romantic and relaxing ambiance perfect for a romantic dinner, business dining or gala celebration. Capistrano's is a Picture Perfect Restaurant! Diners will enjoy eclectic art and will feel relaxed sitting by the atrium waterfall.